RUDRAKSH PHARMA & SURGICO PVT.LTD. 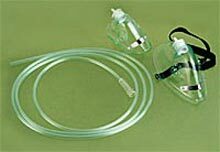 is proud to present superior quality oxygen masks that are widely used in hospitals, health care centers and clinics. Made as per international standards and designed to suit contemporary needs, our oxygen masks are designed to offer features like.